FermiCG: How to get transparency in Carpaint material in Maya. How to get transparency in Carpaint material in Maya. Getting transparency in Car paint shader in Maya is very difficult because car paint have no transparency slot. I searched in Google about this and found some tips and tutorials.But most of them are little bit complex. So I experimented with Different shader techniques in Maya and found a nice and cool way to get things properly. I currently use this technique in many of my works because car paint material is my favourite.Mental Ray is providing some transparency node called mib transparency which can be connected to the car paint for getting the transparency right from it. But I like this way because it proved potentially important. Create a Lambert shader assign to the mesh. Apply transparency map to the transparency slot. Drag the mi_car_paint_phen_x1 to the color slot of Lambert material. In the connection editor turn on the show hidden tab of the mi_car_paint_phen_x1 slot. 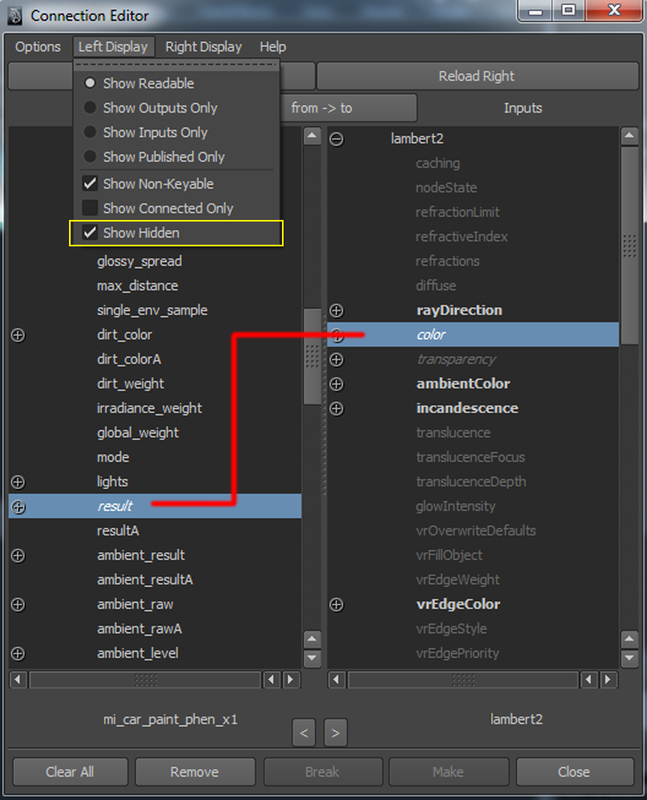 Find the attribute named result in mi_car_paint_phen_x1 and connect it to the color of the Lambert slot. (see the picture below).Note that you should connect the result tab directly to the color tab. 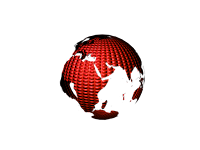 Connecting individual RGB channel will cause fatal error during rendering. Tweak the mi_car_paint_phen_x1 reflection ambient etc, not in the Lambert. How to get Bump in Carpaint material in Maya. After creating this tutorial I have a question, is this procedure can yield bump and displacement in car paint material? I experimented and the answer is YES. 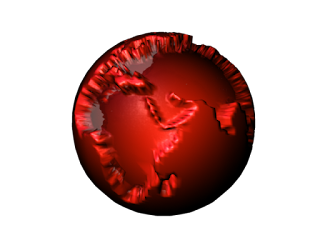 Follow the same procedure.Connect the Bump map to the Bump map slot of the Lambert shader. How to get Displacement in Car paint material in Maya. Follow the same procedure.Connect the Displacement node to the Lambert shader. Very nice car painting tips! Thanks a lot!